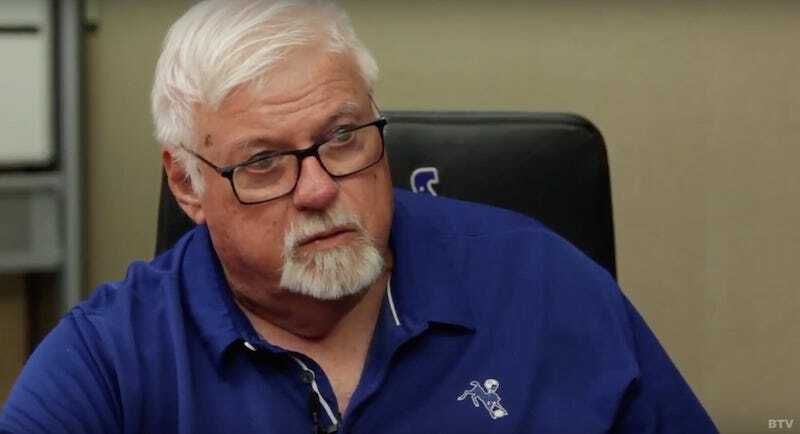 Bob Lamey, who has been the radio play-by-play announcer for the Indianapolis Colts for over 30 years, suddenly announced his retirement on Sunday. Yesterday, a report from 13 WTHR revealed the reason behind Lamey’s unexpected departure: he said the n-word while telling a story to a black colleague. He thought it was OK to use that type of language at work. He was like, ‘Oh I’m so so sorry. I’m so sorry if you’re offended by this. I didn’t mean to offend anyone’ and I was like ‘I’m black and I wouldn’t ever say that word’ and sort of just told him how it hurt me and how I don’t think he should say it ever, even if he’s telling a story,” the radio employee said. “Then once he saw my face and realized he had messed up he had started really like profusely apologizing saying ‘Please don’t tell anybody.’ When I left he said it again, ‘Please don’t tell anybody. Don’t mention this to anyone’. I think he was apologizing so much because he knows it’s wrong and he knows that people lose their jobs for that. A good lesson to take from this is that it’s never a good idea to use racial slurs at work.